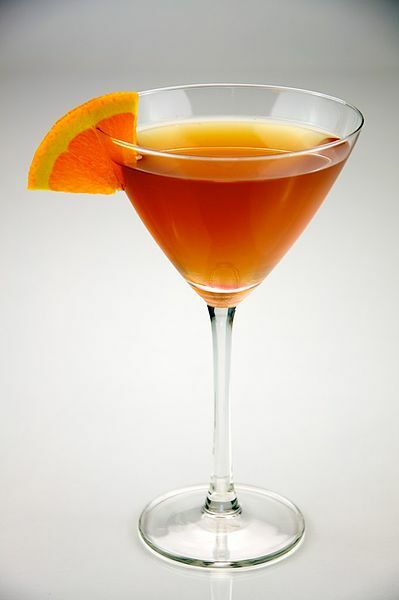 Sidecar cocktail in a martini glass garnished with an orange wedge. Made with cognac, orange liqueur, and lemon juice. Image File:Sidecar-cocktail.jpg by Evan Swigart from Chicago, USA, and licensed under the Creative Commons Attribution 2.0 Generic license on the Wikimedia Commons.